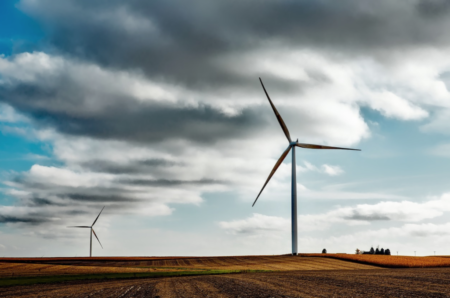 In March, Facebook and Adobe announced they signed power purchase agreements with EGPNA, the renewable energies division of the Enel Group, for the sale of energy produced by Enel’s 320 MW Rattlesnake Creek wind farm. Facebook’s deal with Enel expands upon the previous agreement for the purchase of Rattlesnake Creek’s output, increasing the renewable power supply to Facebook’s data center in Papillion, Nebraska, upon its expansion. Posted Earlier – Facebook’s total investment in the Papillion Data Center: $1 billion. Nebraska-based Bluestem Energy Solutions said they would like to do a study in Spring Valley to explore the possibility of adding a solar farm. There would be no upfront cost to the city, but Spring Valley would have to make a 25 year commitment to Bluestem with an opt-out fee of up to $75,000. The city plans on talking again with Bluestem on June 5. Energy-Efficient Light Bulbs Harder to Find, More Expensive in High-Poverty Neighborhoods, Greentech Media. A Detroit area study finds that energy-efficient CFLs and LEDs are more expensive and less readily available in high-poverty urban neighborhoods. New study debunks myths claiming renewables can’t be integrated into electric grid. The unstoppable tide of solar illustrated by the rise of floating projects, PV Magazine International. Price deflation and technological innovation are helping solar transform the global electricity sector. A new report by IEEFA highlights the latest solar milestones around the world and charts important trends, including the rise of floating solar and the corporate PPAs helping the tech giants ‘green’ their energy-hungry data centers. Are the big Chinese powerhouses coming to America? According to the BMI Research report, manufacturers based in what is expected to be the world’s biggest PV market up to 2027 are eyeing the anticipated second and third largest marketplaces over the same period – the U.S.A. and India, who between them are expected to add 153 GW over the next decade, compared to a predicted 148 GW market in the rest of the world, excluding China. 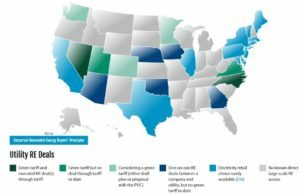 A new report by Rocky Mountain Institute finds that gas plants proposed across the United States over the next 15 years could be replaced by clean energy portfolios at a net savings, and that these projects are at risk of becoming stranded assets. This entry was posted in NewsBlog and tagged BMI Research, Facebook's Papillion Data Center, global PV market, Nebraska's renewable energy economy, Nebraskans for Solar NewsBlog, renewable energy jobs in Nebraska, U.S. wind energy development on May 22, 2018 by Helen Deffenbacher. 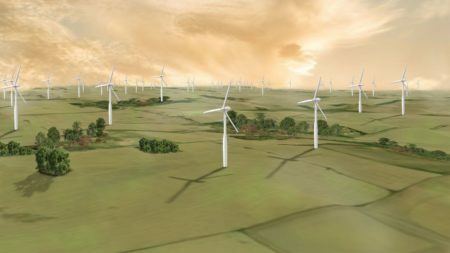 Facebook signed a deal in March to buy all the power generated from a 320-megawatt Nebraska wind farm by 2029 to power a new data center in Papillion, Nebraska, about 120 miles from the wind farm. The bundled, long-term power purchase agreement that Facebook signed with project owner and developer Enel Green Power North America is actually an amended version of a contract the companies signed in November for 200 megawatts of wind power. The wind farm, Rattlesnake Creek, is under construction and is expected to start generating power by the end of 2018. Click here to read the entire article. This entry was posted in Nebraska / Midwest News and tagged Corporate Renewable Energy Buyers' Principles, corporate renewable energy procurement nationwide, Enel Green Power North America (EGP-NA), Facebook's Nebraska PPA, Facebook's Papillion Data Center, GreenBiz, GreenBiz's First Quarter Clean Energy Deal Tracker, Nebraska's Rattlesnake Creek Wind Farm, Nebraskans for Solar NewsBlog on April 16, 2018 by Helen Deffenbacher.